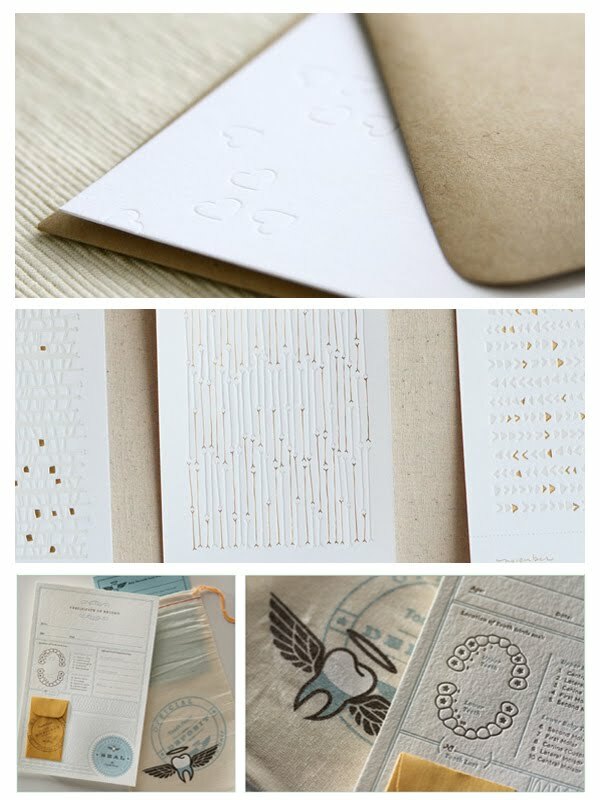 This week's Much love Monday ♥: I've been admiring letterpress for awhile now. Over the weekend, I've been looking at a whole list of classes I want to take. I'm hoping to find some open letterpress classes soon! Loving the office of the toothfairy. It has such great details from the tooth chart to the little stamped envelope.